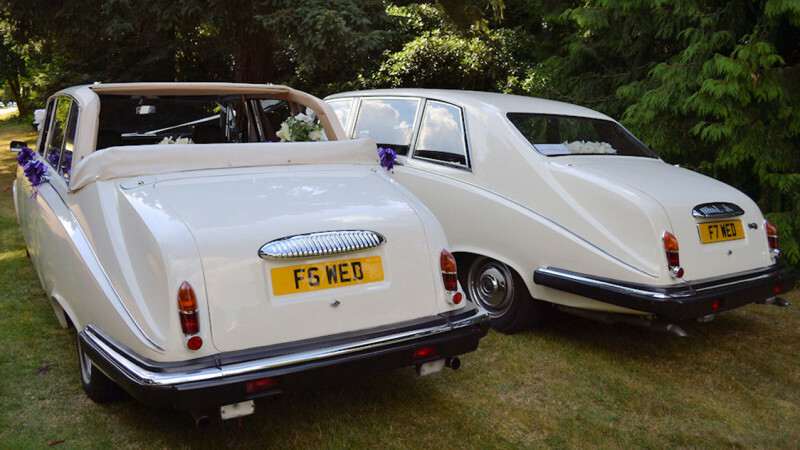 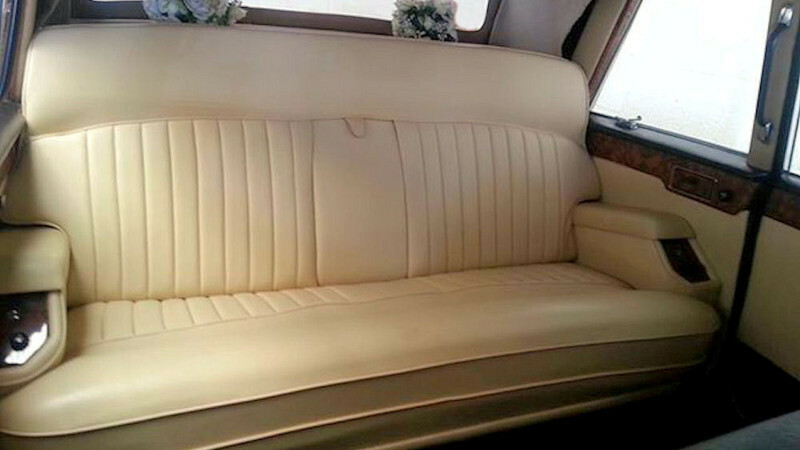 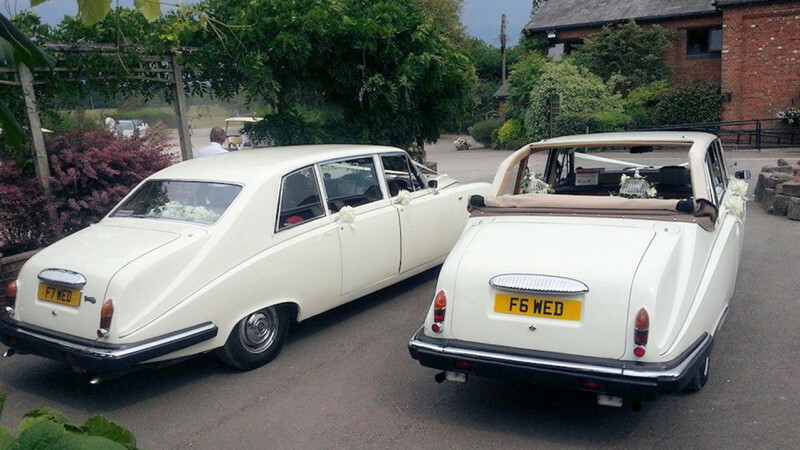 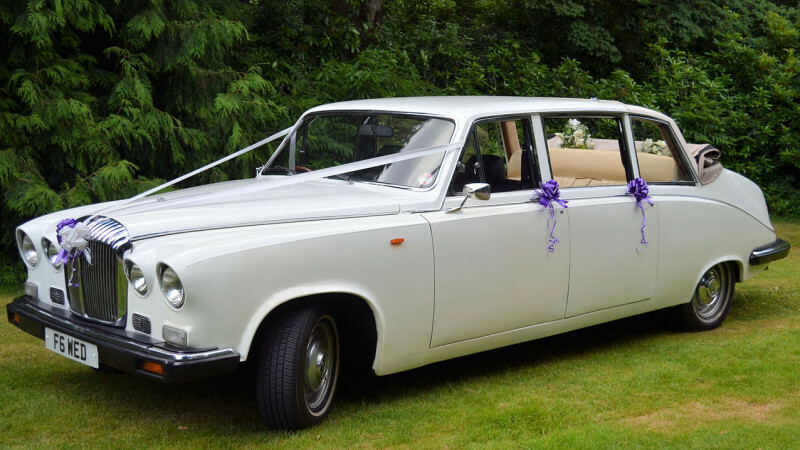 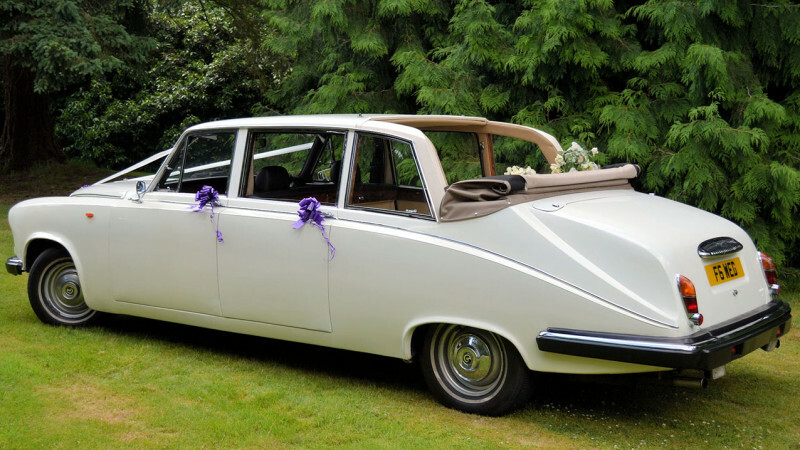 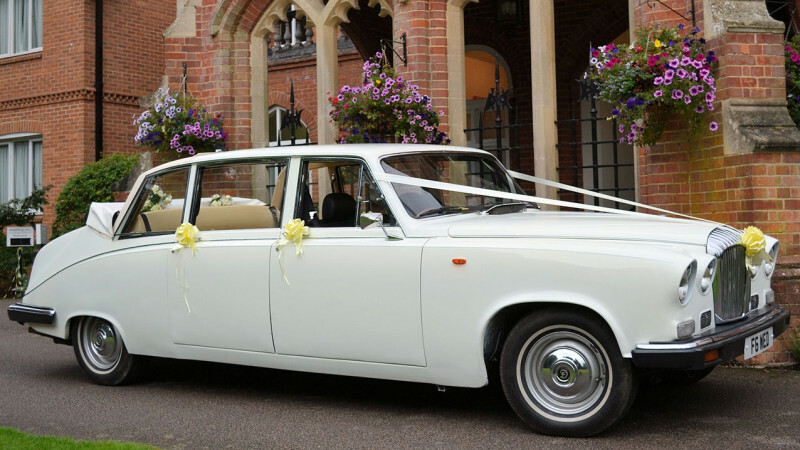 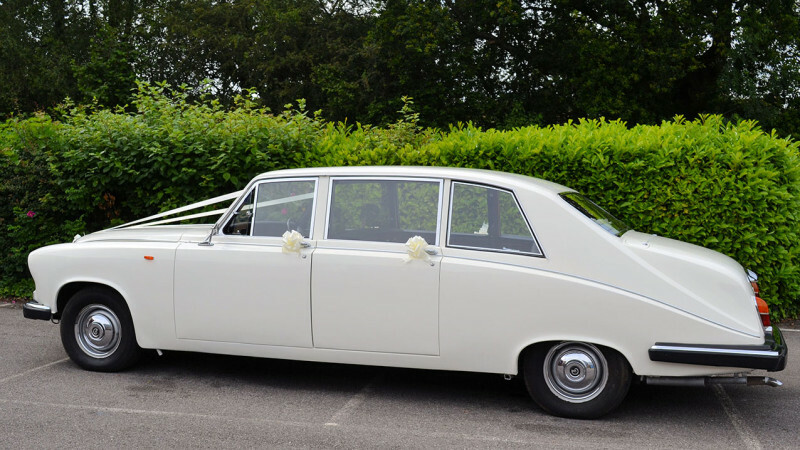 A pair of beautiful Classic Daimler Limousines with coachwork finished in the popular wedding colour of Ivory. 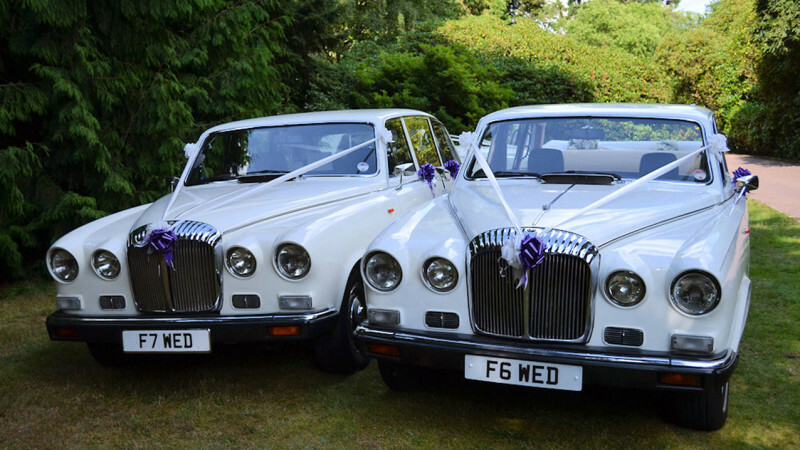 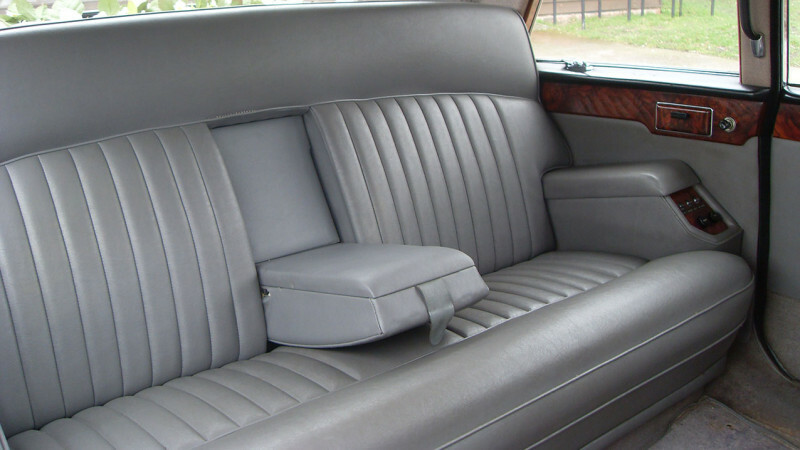 These limousines offer an enormous amount of space and comfort when just two are travelling but can quickly be converted to carry six in the main cabin and one in the one front compartment if required, ideal if you have many Bridesmaids, Page Boys and Flower Girls to transport. 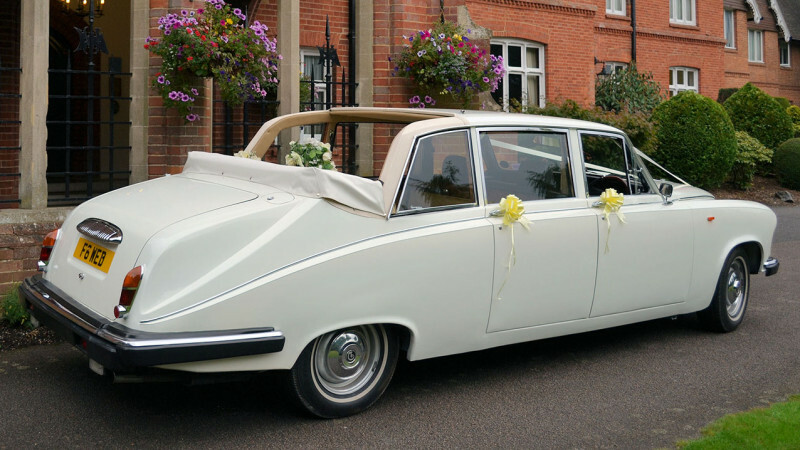 One of the Limousines is a Landaulette which means the rear of the roof can be lowered to become a semi convertible, this one is ideal for the Bride & Groom and great for photographic opportunities. 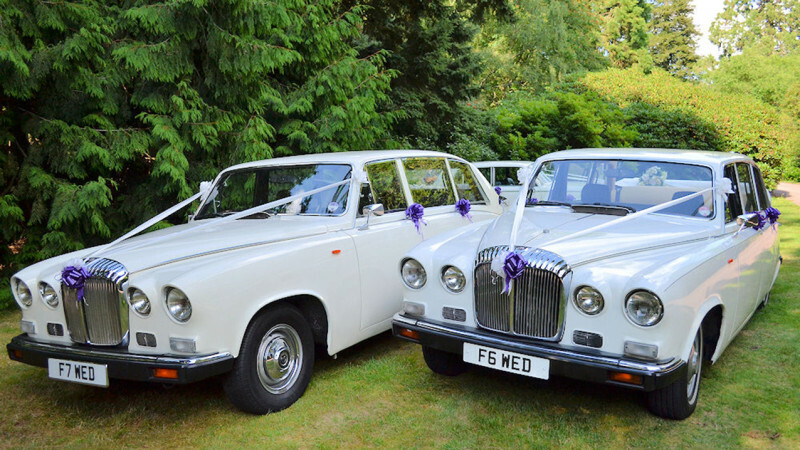 PLEASE NOTE: These cars individual reference numbers are 53 and 66 so if you only require one car and a single car price please go to the individual car page to add to your shortlist, otherwise if you add this pairs page to your shortlist you will be quoted for the pair together.